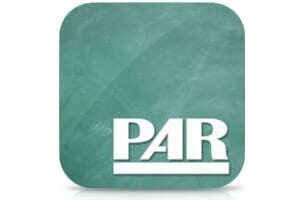 PAR the App That Can Help Identify a Concussion! A concussion is a form of mild traumatic brain injury resulting blow to the head. If not treated properly a concussion can have long-term effects on a person. It is important to always wear protective gear such as a helmet when you are a loved one is engaging in an activity that could cause a head injury. Protective gear is not always enough in some cases and a person can still sustain injury to the head. You can now conveniently assess whether or not a person has a concussion by using your cell phone, thanks to the app PAR. Following the assessment, the app will advise whether or not the hurt person should see a doctor, and if so, the app will provide a summary of all the information that was entered to share with your doctor or EMS worker. This app is a convenient way to assess a head injury, but it should NEVER replace seeking medical attention if needed. Always call 9-1-1 if you need urgent medical care, or immediately get to a hospital emergency room or doctor. At Floyd Hunter Injury Law, we understand the significant effects a TBI can have on an individual and their family. If you or a loved one is suffering from a Traumatic Brain Injury call Floyd Hunter Injury Law at 334-452-4000 for help. Our experienced Alabama Traumatic Brain Injury lawyers will fight to protect your right to the full and fair compensation you deserve. We will investigate your situation, and explain your rights under the law. Let one of our experienced lawyers help you. Call Floyd Hunter Injury Law for a free legal consultation at 334-452-4000.